Dr. Jack Stockwell - Can Water Pre-Loading Help You Lose Weight? 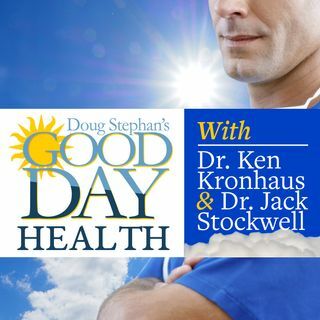 Dr. Jack Stockwell http://www.forbiddendoctor.com explains to Host Doug Stephan, why your health is all about the microbes. Learn what it means to be treated by a Certified NUCCA Chiropractor. Find out how to know if you're mal-nourished. You might be surprised. The truth about drinking water before meals to lose weight, and should it be warm or cold? You'll want to learn how to keep from getting Malaria, if you're planning on traveling overseas. How well is your DNA a predictor ... See More of your getting Cancer? Finally, is it possible to lay in the Sun enough to get all the nutrients you get from food?